Hello to all my fellow foodies out there. I am sitting here working on all my events coming up for December 2013. Then all of a sudden , as I gaze out the window at the bare trees, waiting for that first big snowfall, I start to think of one of the best Chefs of our time. The really sad thing is no one even knows who he is. For him to be called “The Emperor of Chefs” by the Emperor of Germany, William II,as well as being called “The Emperor of the Worlds Kitchens”, is truly an amazing feet in itself. I mean who was this Chef? Why was he so good? Why did he write over 7 books/magazines on cooking? Let me tell you a little about his past. I would like to just say, without Escoffier, we would not have many of the recipes we have today; that is how good he clearly was. Escoffier was born in Villeneuve- Loubet, which is now Neville-Loubet in 1846. His career as a Chef/Mentor spanned over a period of 64 years. He began his career at the age of 13 with his uncle who ran a famous restaurant in Nice. He went from there to work in some of the best kitchens in Paris, France. Then in 1890, in connotation with Ritz and Echenard, who were two masters of the hotel business, he moved to the Savoy Hotel, which he stayed at until 1898. (This is very big here. Escoffier worked for the two best, in the hotel business. We even know the name Ritz today. He was the Executive Chef for them for 9 years. Amazing. Back to my story!!) From there, in 1890, he went to be the Executive Chef for the most famous hotel in all of Europe, the Carlton Hotel. It is obvious to note here that his culinary career was like no others at the time. People everywhere went to eat at these amazing hotels and would book nights there just for the food adventure. Amazing, simply amazing. After the Carleton Hotel, Escoffier, like I previously mentioned cooked for King William II. He was asked to join the imperial kitchens. Not just join, but run the entire Imperial Kitchens. After all he had done to bring French cooking around the world, and bringing it to new unseen levels, he was made “Chevalier of the Legion of Honor in 1920. And then Officer of the Legion in 1928. Escoffier finally retired in 1921 at the age of 74. AMAZING! He then dies in February 1939 nearly 89 years old. I wanted to share some of his best works for you, my guests!!!! A note to make here is that he wrote these two works above in collaboration with Phileas and Emile Feru. Escoffier created numerous recipes that you may have heard of before. He created Peach Melba, after the Australian singer Nellie Melba. Please Google him and see the rest of his recipes that are famous. If you are really into food then you will love to do some research on one of the best Chefs of our time, who is sadly forgotten about to much. 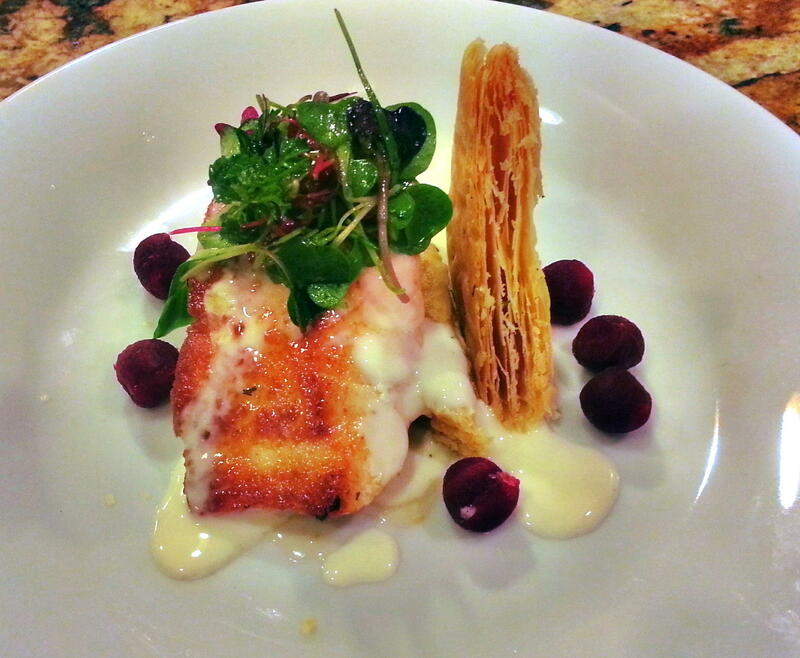 This Blog was written in memory of Escoffier Auguste, from Executive Chef/Owner David Kratky of The Laughing Pear Group.